Last Thursday, House Bill 1326, relating to water rights theft, appeared dead. Now, less than 72 hours later, it appears to have gained new life. This bill is undead. It’s truly a zombie bill, stalking Hawai’i the way the walking dead creep through the ruins of Atlanta. As we prepare for legislative Judgement Day to arrive this coming Tuesday, it’s worth recognizing why this issue exists in the first place. Alexander and Baldwin’s political press for continued water diversion didn’t merely arise from a 2016 Circuit Court ruling that prohibited the company from using revocable permits to authorize permanent redirection of stream water in East Maui. On the contrary, it’s about the struggle for two things that have defined the history of the islands for the last 125 years: land and power. It’s the latest skirmish in the colonial conquest of Hawai’i, which reached its pinnacle with the overthrow of the kingdom in 1893 and hasn’t stopped trampling on Hawaiian sovereignty and working people ever since. Alexander and Baldwin launched its lust for capital as one of the Big Five companies that held oligarchic control of Hawai’i’s economy during the Territorial Era. Its founders, Samuel Thomas Alexander and Henry Perrine Baldwin, were the children of medical missionaries who came to the islands in 1831 to “civilize” and Christianize the Hawaiian people. Shortly after establishing the business that came to be known by the two-letter acronym A&B in 1870, Alexander and Baldwin purchased 561 acres of land on Maui, the site of the company’s first forays into sugarcane cultivation. A&B’s sugar operations produced profits that allowed it to expand into other industries, including pineapple farming, railroad transport, shipping (in 1908, A&B purchased a portion of the Matson Navigation Company), and, following World War II, real estate and land development. Along with the other notorious Big Five companies, A&B came to control all aspects of Hawai’i’s economic and, in turn, political life, from agriculture to tourism to banking. To maintain their power, the overwhelmingly haole leaders of A&B were ruthless in their pursuit of money. Contracted immigrant laborers were subjected to deplorable conditions and perpetual racial discrimination on Big Five plantations, eventually leading to dozens of strikes and labor stoppages during the first two decades of the Twentieth Century. While worker solidarity eventually led to the creation of local labor organizations, like the Higher Wage Association, wartime inflation outpaced any wage gains earned by plantation laborers. Companies like A&B marched greedily forward, using their legislative dominance and law enforcement to stymie any attempts by unions to gain footing on King Sugar’s lands, until changes to federal labor law forced them to address workers’ longstanding grievances. Even a decade after statehood, Alexander & Baldwin’s financial authority was paramount. In 1969, the company purchased all remaining, outstanding shares in Matson, making the shipping company a wholly owned subsidiary of A&B. Even in 2012, when Matson was eventually spun-off as its own publicly-traded company, its board and management were stocked with A&B executives, who remain in key positions to this day. 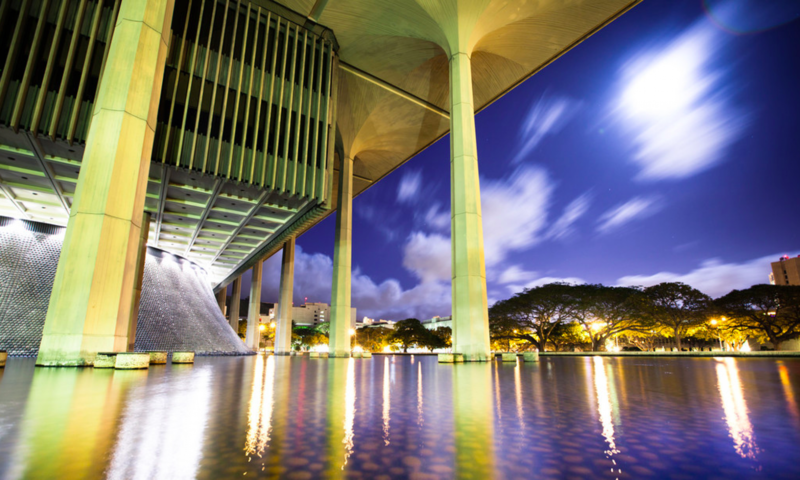 A&B–perhaps a better designation would be A$B, given their oligarchic history and status as one of Hawai’i’s largest campaign contributors–has always put profit before people, beginning with their post-annexation opportunism. Its shareholders literally benefit from the commercialization of land that is only held in private hands because of their company’s machinations to dispossess Native Hawaiians of their political homeland and, later, deprive plantation workers of basic human rights. How else do we explain A&B’s corrupt deal with Mahi Pono, which serves as the catalyst for HB 1326? In 2018, A&B sold its Central Maui sugar land to Mahi Pono upon the promise that the company would divert 30 million gallons of water per day until 2026 to those lands or pay $62 million. Yet, those permits expire this year, something both A&B and Mahi Pono knew when the deal was finalized. They knew they’d have to demand an extension from the State Legislature to keep stealing water from Maui streams. They simply couldn’t fathom that the lawmakers they’d purchased on the campaign market would be unable or unwilling to deliver another blow to the public trust. They made a deal on the faulty premise that the Legislature was completely under their control, as it has always been since the days following the overthrow. That’s just arrogance. Unmitigated hubris. And with hubris comes the fall. Hopefully, A&B’s descent will begin on Tuesday, with members of the State Senate rejecting any attempt to resuscitate HB 1326 from its political grave. Even if the bill passes, though, it has lifted a tide of we, the people, who stand firm against colonial injustice. It is only a matter of time before that tide washes away A&B’s self-serving exploitation and sends stream waters surging in the direction they were meant to flow.